This colourful medieval city is only 20 minutes from Monaco and 30 minutes from the Italian border. With Menton’s temperate climate and 316 days of sunshine a year, it is an absolute paradise, even in the depths of winter. With art galleries, multiple festivals and beautiful hikes, Menton is an excellent weekend getaway. Located in a beautiful bay at the heart of the Mediterranean, this medieval town enjoys miles of beaches, crystal blue water and a tropical microclimate. In fact, Menton’s warm weather made it a favourite wintering destination for British and Russian aristocrats, who passed their days walking along the beach or tending to lush winter gardens. The warm microclimate allows for rare tropical gardens, and bountiful agricultural production. Menton is known for its botanical gardens, including the Jardin botanique exotique du Val Rahmeh. The governor of Malta founded this exotic garden in 1905. Today it is home to over 700 varieties of exotic plants, from kiwis to avocado trees, to the extremely rare ‘Sophora Toromiro’, a sacred tree of the Easter Islands. Jardin de Val Rahmeh – Avenue Saint-Jacques. 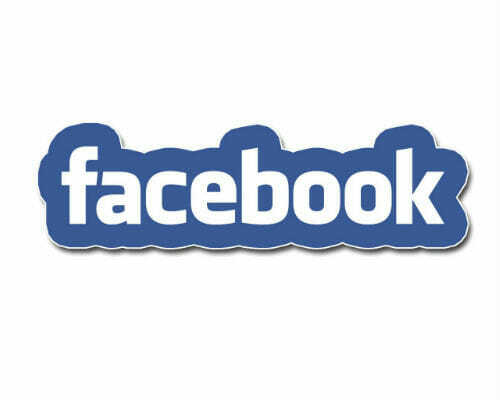 Tel: +33 04 93 35 86 72. 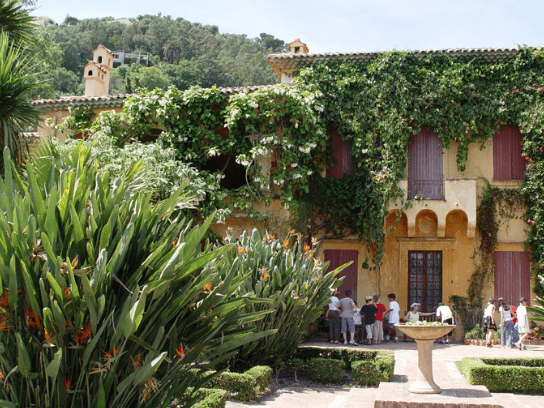 Another tropical escape with rare and exotic plants is the garden of Serre de la Madone. Started in 1924 by Lawrence Johnston, a Paris born American, the garden features his life’s work of travelling the world to fill this palatial sanctuary with prized flora. Today, the garden is run by the Conservatoire du Littoral, a French historical conservatory in association with Alpes Maritimes region. The grounds feature over seven hectares of gardens, an old villa with green rooms, a library to study and a tearoom. They also offer conferences, evening concerts and meetings with botanists. Jardin Serre de la Madone – 74, Route de Gorbio, tel: +33 04 93 57 73 90. But perhaps Menton is best known for its lemons. The local cultivation of citron dates back to the 15th century. 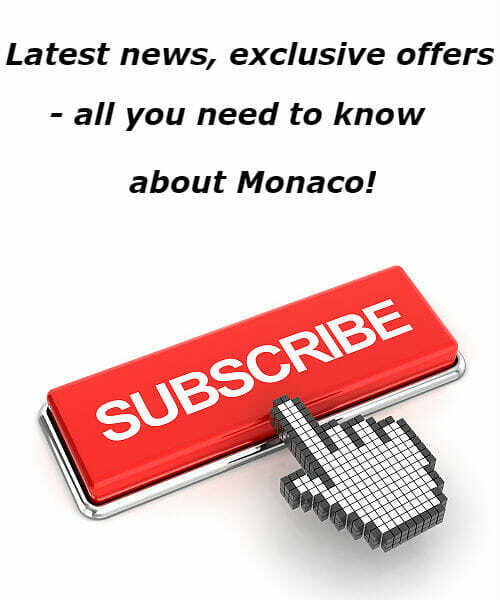 Soon after, the princes of Monaco began organising the export, collecting tax on citrus sales and even appointed a Citrus Magistrate. By the 18th century, Menton citrus could be found in markets from St Petersburg to Messina. These days, the ‘Valley of Menton’ produces almost 100 tons of lemons and oranges per year. There is no better showcase for Menton’s citrus bounty than the annual Fête du Citron, or Lemon Festival. 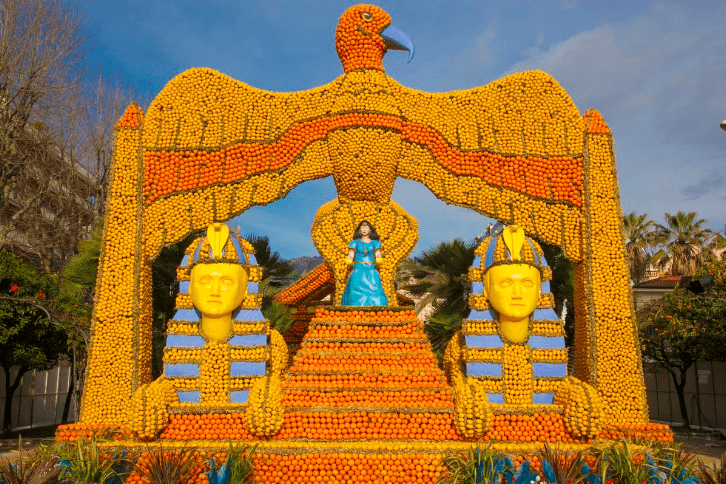 Each year for the last 83 years, Menton has hosted a vibrant, colourful festival to honour their bright yellow and orange produce. Beginning the second week February and lasting three weeks, the town is abuzz with festivities and filled with nearly 160,000 extra visitors! Parades with floats made of lemon sculptures, live music, evening light shows and plenty of activities make the town a happening place for the depth of winter. Every year the festival has a theme. 2016’s theme was ‘Cincittá’ and 2017’s theme will be ‘Broadway’. Don’t miss the upcoming festival! For more information, visit: www.fete-du-citron.com. 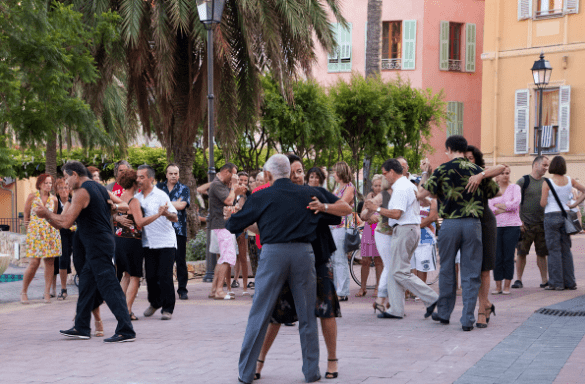 The Menton Tourism Board makes it very easy to stay in the know and get everywhere you want to be during their festivals. If you will be attending one of the festivals, make sure to download the corresponding festival app. 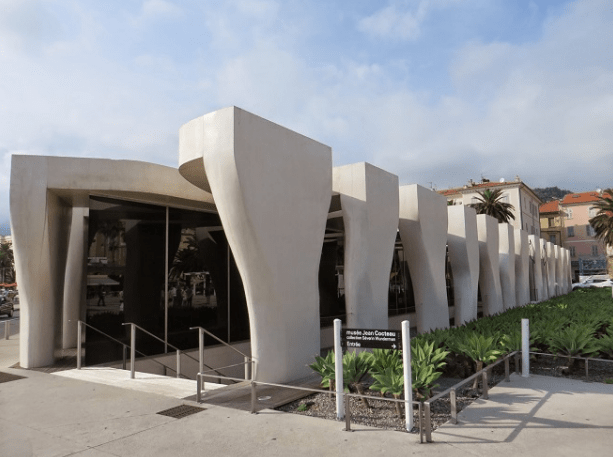 For the modern art enthusiast, don’t miss the Jean Cocteau Museum. The newly built structure houses a large collection of his work, covering his medium from painting to posters, to illustrations for books and magazines. The museum also has a few pieces by other artists including Andy Warhol and Alfons Mucha.Open every day except Tuesday. If visiting the Jean Cocteau Museum, take a sweet break down the street at Maison Herbin, an old-fashioned jam factory. The little shop still makes jam in the back kitchen in copper cauldrons, just like the days of yore. Very happy to have their visitors taste their creations, everything they sell can be tasted before you buy. Try the classic Menton lemon marmalade, or any of their unusual combinations like strawberry-basil, fig-hazelnut or their selection of local honey and chutneys. Lastly, any Rugby fans will want to make a ‘pilgrimage’ up to the Old Chateau Cemetery. Perched on a hill above Old Town, this cemetery is the final resting place for William Webb-Ellis, the father of Rugby. There, against the backdrop of the Mediterranean, you will find a statue, gravestone and plenty of Rugby memorabilia for the famous sportsman. In addition to Ellis’ grave, the cemetery is filled with beautiful, ancient gravestones, stunning views of Menton and filled with a sense of history. Buried within the walls you will find Russian royalty and many international residents from the Belle Epoque. The Old Chateau Cemetery is actually rated on Trip Advisor as the #1 thing to do in Menton. Cimetière du Vieux Château, rue du Vieux-Chateau. Tel: +33 04 93 57 95 99. The next time you want a short break, don’t look too far afield. 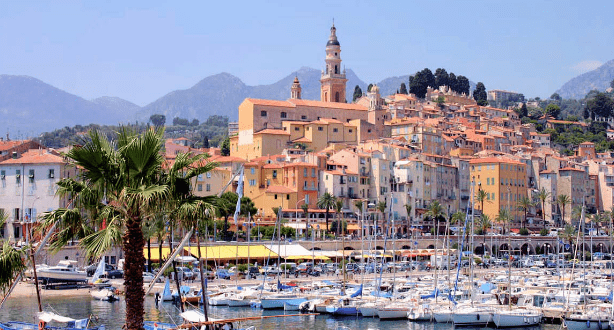 Menton is an excellent destination for a getaway.